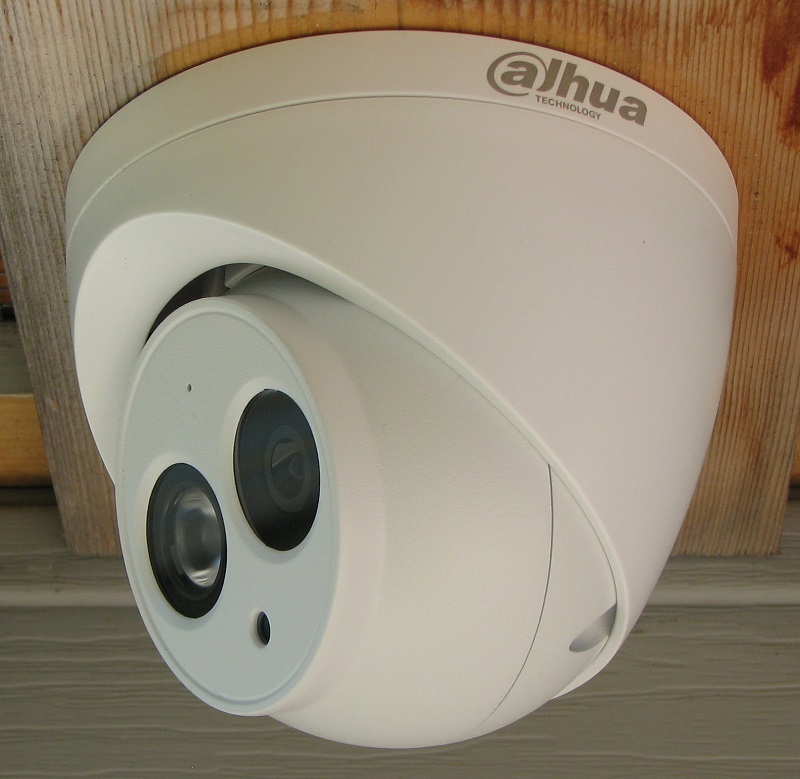 In this Dahua IPC-HDW4431C-A review I'll try out one of the cheapest full-featured 4 MP IP surveillance cameras you can get with the Dahua name on it. 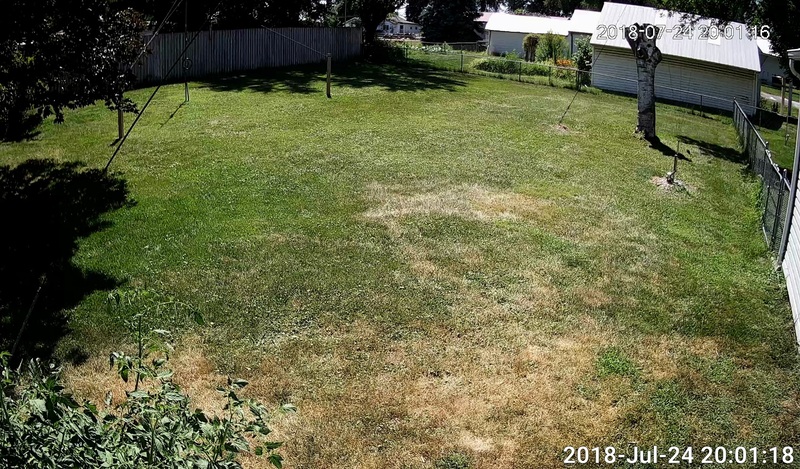 Keep reading to see the good and bad of this inexpensive security camera that I bought on a whim, and why it may or may not be a good choice for you. 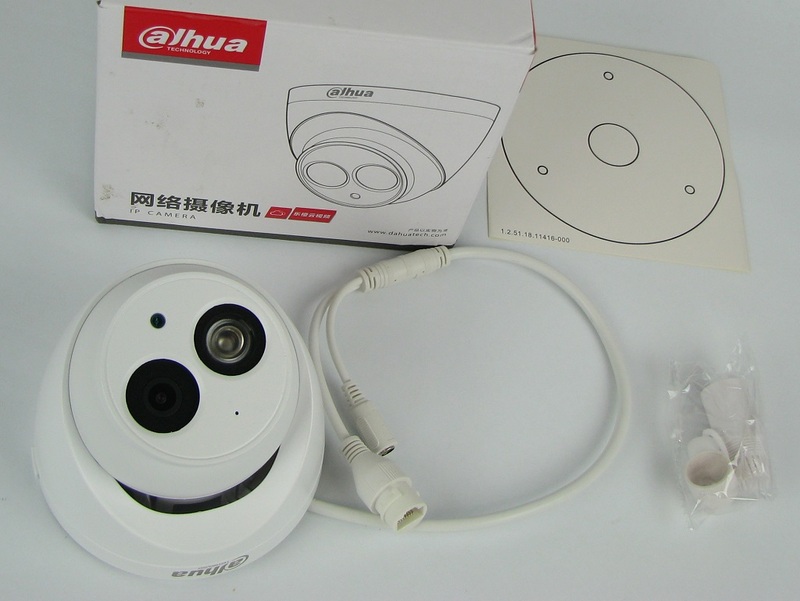 The Dahua HDW4431C-A as well as the newer HDW4433C-A are 4MP fixed lens day / night surveillance cameras that were originally designed for the Chinese market. They're available on the grey market worldwide from resellers who load them with an "international" firmware version instead of the Chinese version that they normally run. Average price at this time is around $60 each in the United States, usually a little more or less depending on who you buy it from. My camera came with a mounting template and a cable gland to waterproof the network connection, but it did not come with anything else, not even any mounting screws. My HDW4431C-A has the 3.6mm lens and came with firmware version 2.420.0000.21.R build date 2016-07-24, which supports English, Spanish, French, and Simplified Chinese languages. It appears to be the same "international" grey market firmware that came on my Dahua IPC-HFW4431R-Z that I review here. The good points of this camera are the low price combined with the features listed above. I don't know of any other cameras available that has this level of capabilities at this price point. It really is a capable and full-featured camera comparable to many costing a lot more, as long as you can deal with the limitations below. While the camera itself is metal, the mounting base and cover that hold the camera are plastic. There are no security or locking features of any kind. The camera position is held by light tension from plastic fingers and can easily be moved by hand or even just bumping the camera. 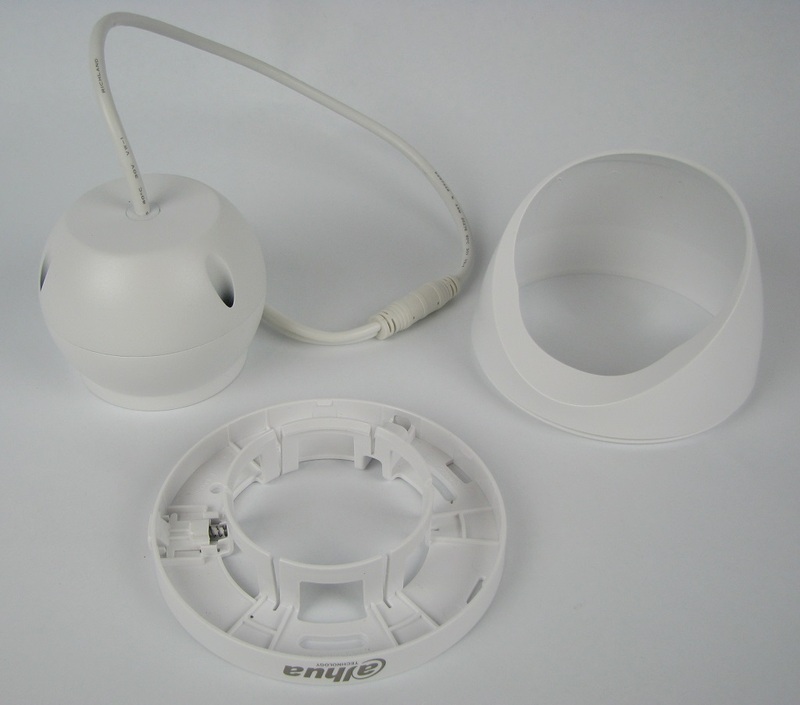 The cover can be removed simply by pressing a button on the side of the base and pulling it apart. It's quite clear that this camera is not vandal resistant at all. Not for typical consumers due to the grey market issues. This is more for the hobbyist who enjoys supporting their own equipment. I have this IPC-HDW4431C-A mounted next to a Dahua IPC-HDW5231R-Z at the fairly low height of less than 8' above the ground for testing purposes. Click here if you'd like to see my review of the HDW5231R-Z which I'm using for comparison. Here are some snapshots taken from both cameras to see how they compare. Both cameras are at factory default settings and the snapshots were taken using my DW Spectrum IPVMS software. I did reduce the size of the images for faster loading of the website, and the 4431C-A images were originally 4MP and the 5231R-Z is 2MP. Here's the Dahua IPC-HDW4431C-A 3.6mm on a sunny day. The focus is very clear up near the camera but I think that things in the distance are a little soft and not as crisp as I would like to see. The colors are maybe a little darker than what I see when looking at that scene with my own eyes, especially in the shadows of the trees. Still a pretty good photo and the colors are close to natural with maybe a little bit of a reddish tint. Here's the Dahua IPC-5231R-Z with the varifocal lens zoomed most of the way out to around 2.7mm. I find this image to have better focus up close and out in the distance, and it's also much lighter and brighter than the one from the 4431C-A above, especially in the shadows. I think this image looks less natural and not as close to real life as the other one, but probably better overall for security camera use. Here's the 4431C-A with no IR light sources, and the only light is a small CFL bulb 20' behind it to the left and a near full moon in the sky in the direction the camera is facing. It goes without saying that this image is unusable. The camera cannot see well enough in low light to be used without some sort of light source. In my experience this is pretty much the norm for inexpensive cameras and not unexpected with this one. 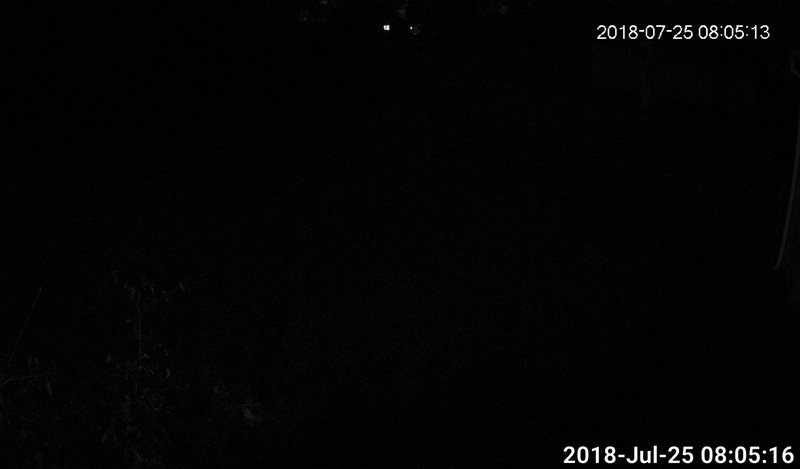 Here's the 5231R-Z at the same time, and you can see it has much better performance in low light, which is to be expected due to the Starlight image sensor used. It's engineered to perform better in low light making it much more usable than the 4431. I think this image would look even better overall if the large tomato plant just below it wasn't reflecting so much light from the CFL onto the camera. Here's the 4431C-A with the internal IR light on and set to SmartIR. 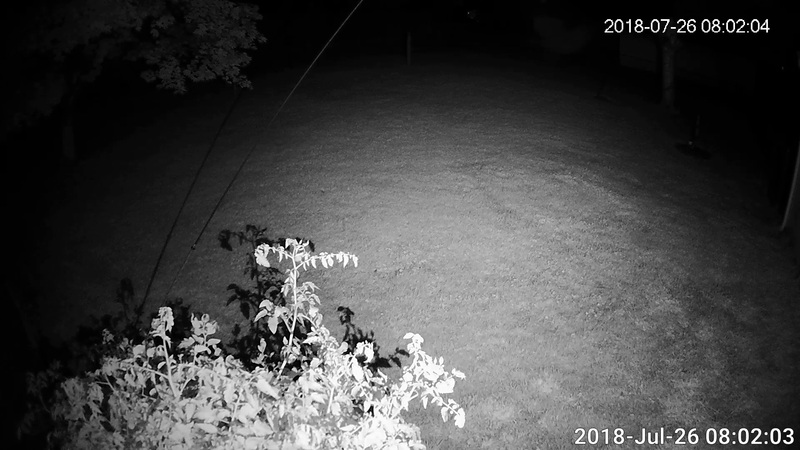 Due to having the camera cover the entire yard from this low mounting height, the IR light shines much closer to the camera than we might want. This brightly reflected light from the plant and the lawn are overwhelming the camera a bit. 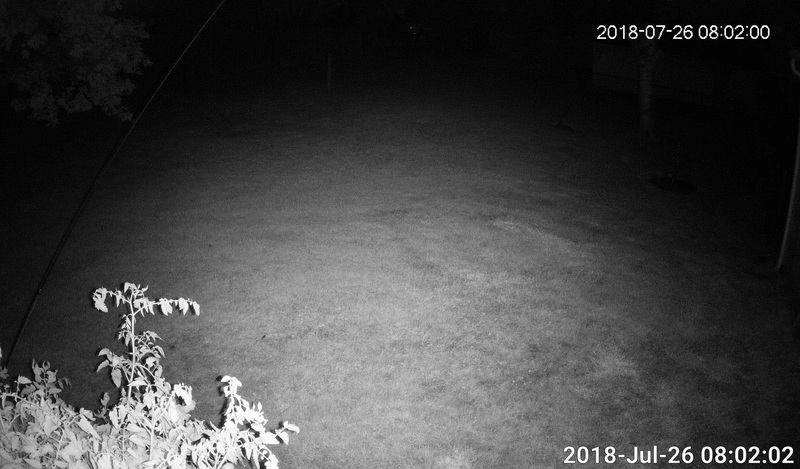 Ideally the camera would be mounted higher up to help prevent this, or even better yet we'd use an external IR illuminator and turn the internal IR off. Here's what the 5231R-Z sees with the 4431C-A's internal IR on. It's also overwhelmed by the reflected IR from the plant and lawn due to the mounting location and low height. Hopefully you're getting an idea of some of the types of problems you can run into using cameras with built-in IR light sources, especially at low mounting heights. 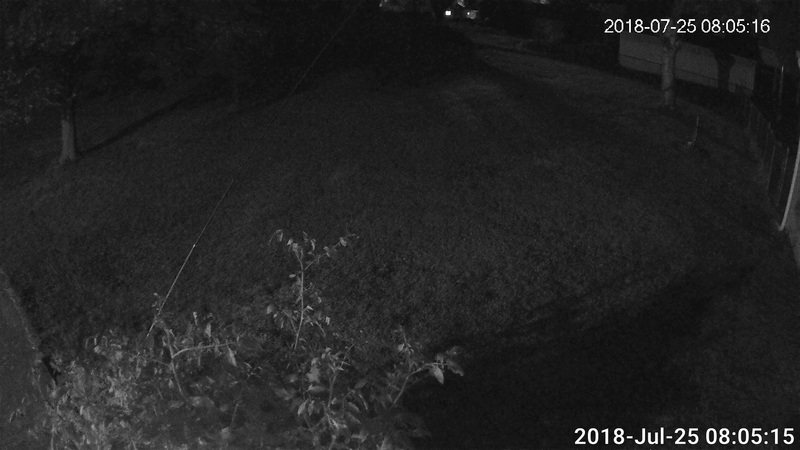 I think the performance of the IPC-4431C-A is pretty typical of inexpensive surveillance cameras and I don't have any real complaints in that area. If you keep in mind that it's not a high-end performance camera, it does do a decent job during the day and also at night as long as you give it the proper lighting to work with. I had it running briefly in a 14' x 20' interior room and it seemed to do a great job in there during the day and at night with the built-in IR on. 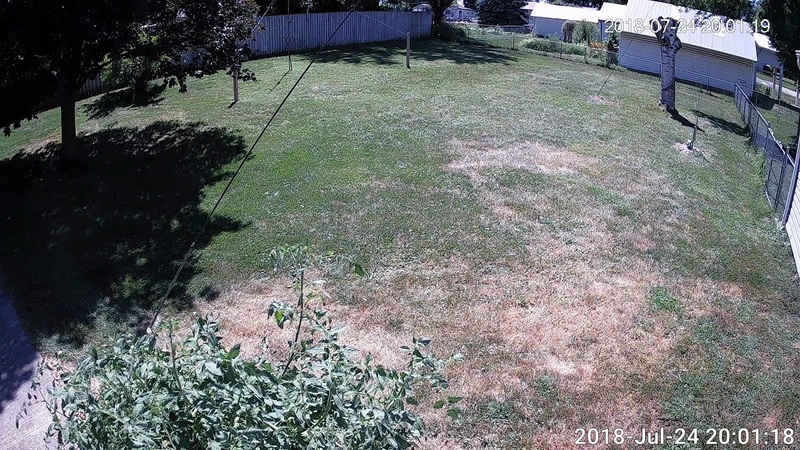 I'm asking a lot of it to cover a larger back yard in the photos above. 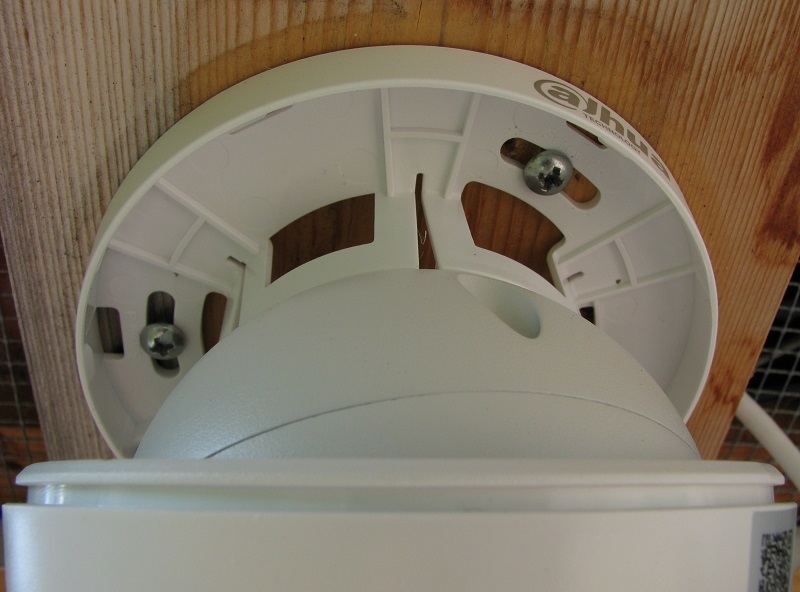 Keep in mind that it has the grey market firmware that can't be upgraded, as well as a plastic mounting assembly that offers no protection against vandalism or errant adjustment. If you can deal with those things and want the absolute least expensive (essentially disposable) yet full-featured camera to add to your NVR or VMS, then you might want to give one of these a try. If this one doesn't interest you but you're willing to consider an even better grey market Dahua camera, check out my review of the Dahua IPC-HFW4431R-Z which doesn't cost much more than this one.